This Accountant interview profile brings together a snapshot of what to look for in candidates with a balanced sample of suitable interview questions. Similar job titles include Accounts Receivable Clerk. The two essential qualifications for this position are a) one to two years of practical accounting experience, and b) accounting certification, or verification that they are in the process of getting certification. 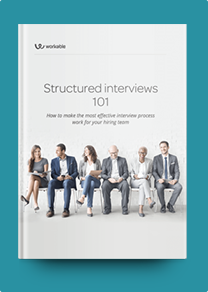 Once you’ve screened for those essentials, you’ll want to ask situational and process-based interview questions that only experienced accountants can answer. These interview questions will help you find out whether their experience lines up with what you need as a company and whether or not your candidate can be trained to succeed in this role. Look into what kinds of entities they have experience with, such as multinational entities and sole proprietorships. Questions about their experience with accounts receivable and accounts payable will also tell you what kind of company they worked for and if they primarily worked with customers or suppliers. You’ll want to find out how detail-oriented they are, how specialized their roles have been and how seriously they take their contribution to overall business goals. Accounting tends to be repetitive and routine work, so you’ll want to hire a motivated, analytical individual who is driven to improve current systems and processes. What do you know about our business model? How do ensure accuracy in your work? How have you handled tight deadlines? How do you stay motivated while doing repetitive tasks? Describe an accounting process that you developed or improved. Describe a time you helped your company reduce costs. How would you set up an internal control system for processing invoices? Share your experience with accounts receivable and accounts payable. Which accounting software programs have you used? Describe your familiarity with accounting standards such as FASB and GAAP.